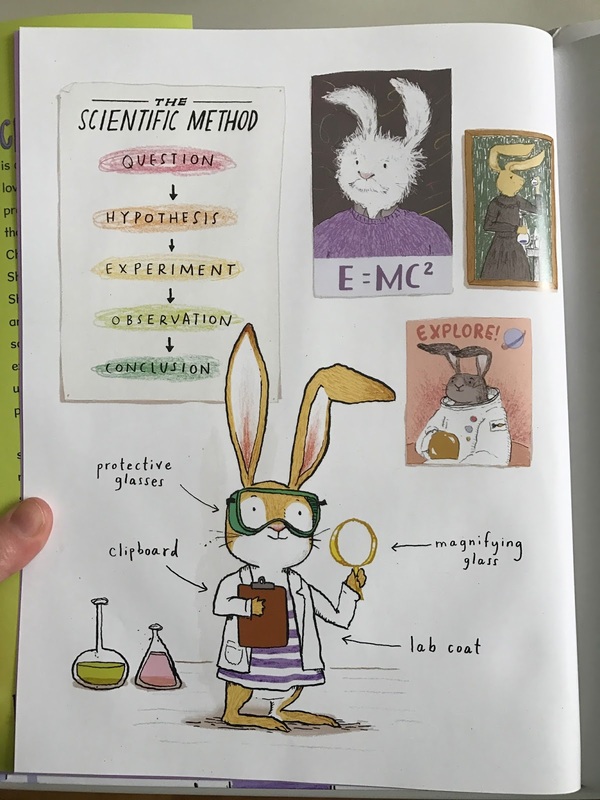 Happy happy book birthday to Charlotte the Scientist is Squished, written by Camille Andros and illustrated by Brianne Farley. I have been waiting for this book to come out since last year when I got a sneak peek at the manuscript and a few sketches. I met the author, Camille, at a conference and as soon as she told me about her book, I was intrigued. 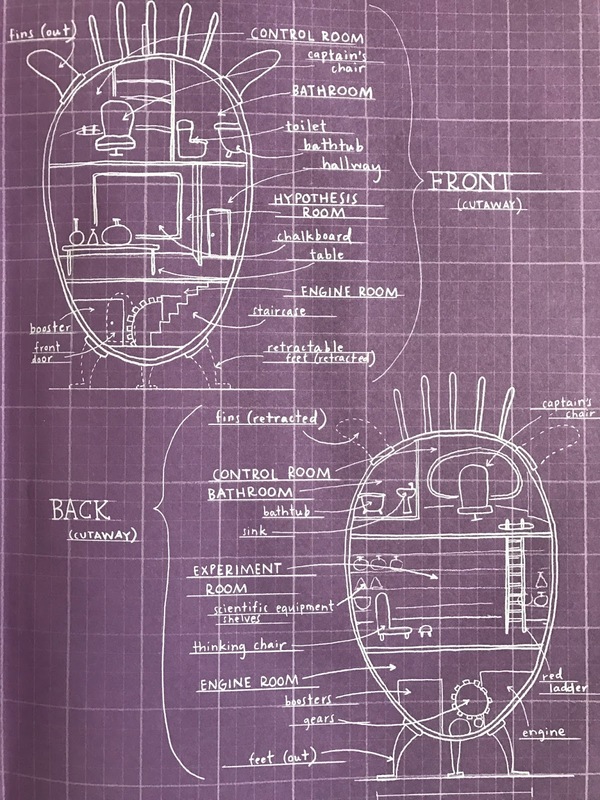 I begged to see the manuscript and she showed me a little sketched out dummy with the beautiful initial sketches Brianne had done. I fell in love with the book immediately and connected with it on a very personal level. scientific method to solve it. Her problem? Not enough space. 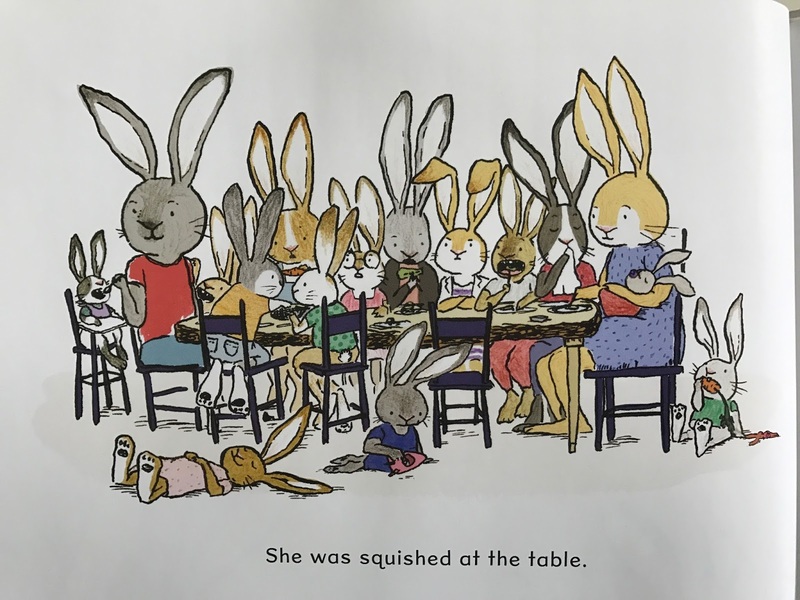 As you can imagine, a bunny hovel would get quite crowded as they are known to have large families. 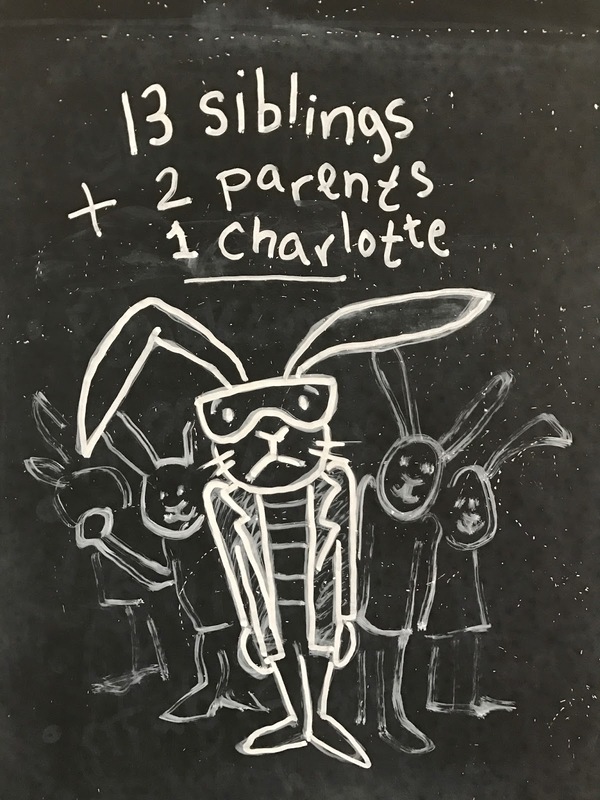 Charlotte's bunny family is no different. She has 13 brothers and sisters and two parents who share everything from the dinner table to the bathtub to the bathroom. So to prevent further breakage of her beakers, and spelling of her specimens, Charlotte uses the steps of the scientific method to get more space. Step one: ask a question. Step two: form a hypothesis. Step three: test the hypothesis. Step four: Make and record observations. And finally, step five: form a conclusion. Adorable, relatable Charlotte doesn't solve her problem right away, but eventually figures out a great solution and comes to the perfect conclusion. 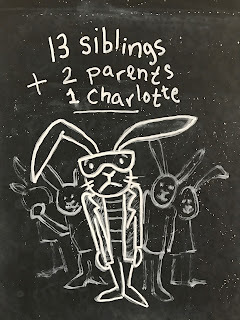 Growing up in a large family myself, with six brothers and two sisters and two parents, I often felt like Charlotte. But I know even amongst my own four children, finding themselves and their own personal space in a busy family can be a challenge. The use of the scientific method to solve Charlotte's problem in this book does not seem the least bit forced or remotely like an added hook to sell a book. It fits perfectly and necessarily into the plotline, which makes it even more magical while still being 100% fun and educational along the way. Much like the dinner table when I was growing up. 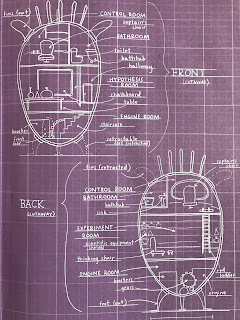 The illustrations are imaginative, well designed, and full of fun things to look at. Brianne never forgot to include all 13 siblings in the family scenes (Believe me, we illustrators sometimes accidentally leave a detailed out here or there in the course of illustrating 32 pages). The color palette is bright and engaging without being distracting. Her designs on the end papers are utter genius and the mark of a truly great illustrator. 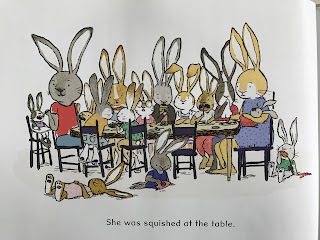 The fun she must of had illustrating this book clearly shows through in every spread. 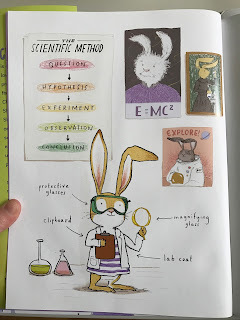 I wish I had had this book to teach me about the scientific method before I ever started all the science fairs growing up or before I helped all of my own children through years of science projects. I would've appreciated the method 10 million times more and I think we would have all gotten much more out of our experience. So whether you're looking for a fun Easter book, and educational add on, or an adorable story for your collection, this is the book for you. Buy your copy HERE today or at your local bookseller.